If you’re looking for a machine that is Big on Performance and Easy on Price, the new Baby Lock Jazz gives you both. 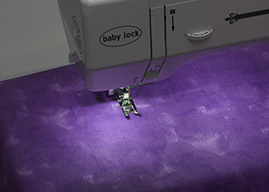 With a 12” workspace and 1,000 stitches per minute, the Baby Lock Jazz offers a big place to create your quilt compositions. The best part about this machine is that it’s easy to afford with features unlike others in its price range. Plus, Baby Lock is there to accompany you along the way. Now that should be music to your ears! 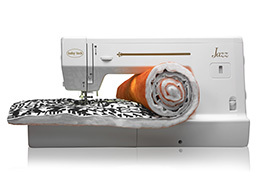 With 12" of workspace to the right of the needle, Jazz gives you plenty of room to maneuver large projects. 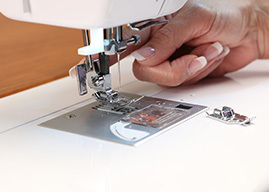 Keep a quick and steady tempo of up to 1,000 stitches per minute. Jazz is as fast as it is accurate. Keep both hands free for sewing large quilts. 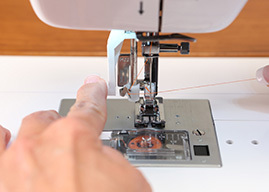 Start and stop your sewing without ever taking your eyes—or hands—off your project. 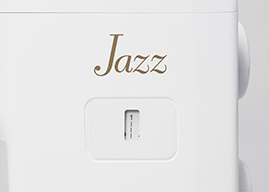 The built-in LED lights illuminate the Jazz’s needle and work area so you can clearly view every last stitch. No more struggling with bobbin changes midway through a project. 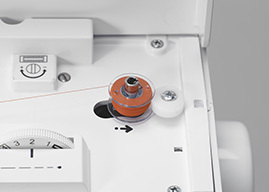 Simply drop in a new bobbin, pull your thread through the guide and Jazz does the rest. 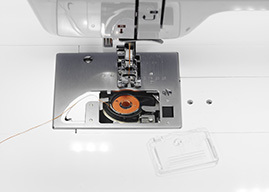 Flawlessly thread your machine every time, so you can get up and running quickly. A visual guide helps you quickly dial in stitch width and length adjustments. 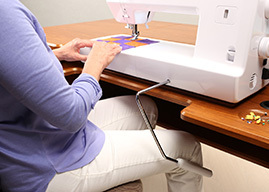 The built-in bobbin winder seat holds your thread in place and then stops automatically when the bobbin is full. It couldn’t be easier. Switch from one specialized accessory foot to another in a snap. 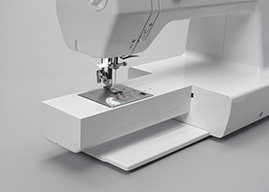 With the Jazz machine’s free arm, you can sew enclosed items, curved pieces and other tight spaces just as easily as large projects. 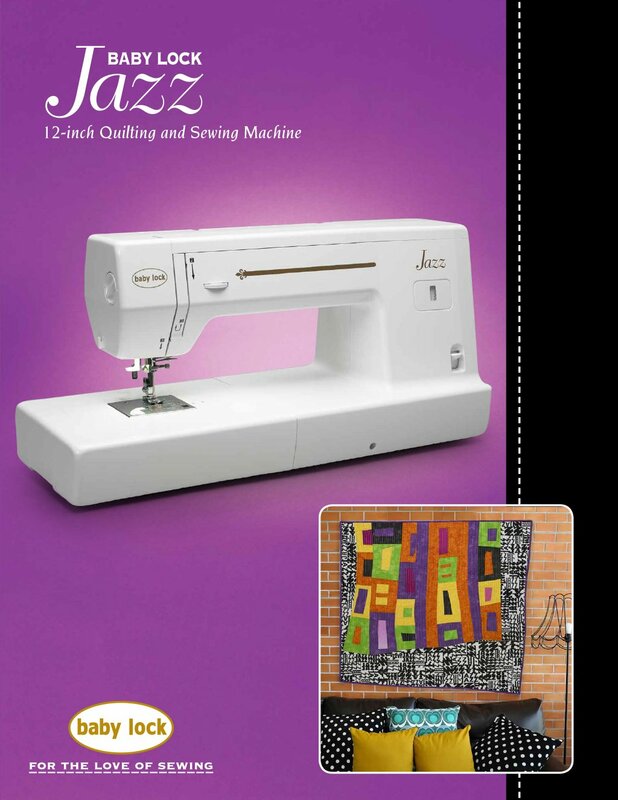 With 28 built-in stitches, including a one-step buttonhole and a maximum stitch width of 7 mm, Jazz is well-equipped to take your creativity to new heights. 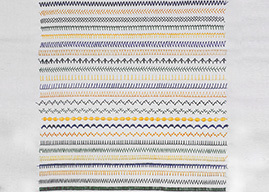 Select from 28 different built-in stitches and view your selected pattern in the Stitch Indicator Window. 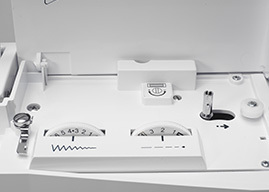 Ask your Baby Lock Retailer about machine maintenance programs.